The driveway is the approach to your home. It is the first impression visitors get of who you are. 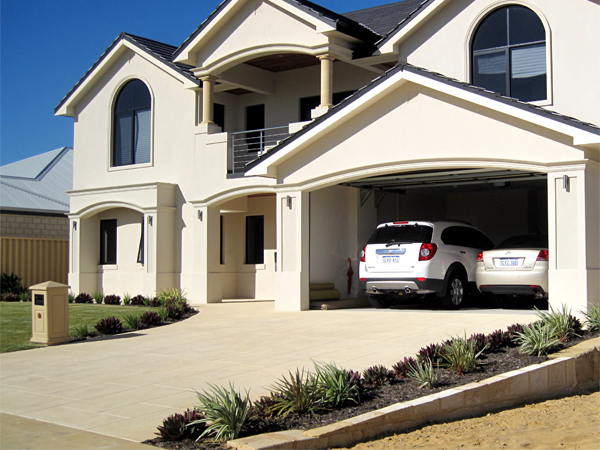 When it comes to driveway paving & pathway paving, Perth Liquid Limestone is the first choice of many Perth builders. Choosing the right design will set your home apart from others in your street. It will add value and enhance your property. Weed-free and clean, it is the perfect welcome for visitors. Liquid Limestone driveways are adaptable, durable and laid to an approximate depth of 100mm on trafficable areas. This ensures longevity and strength. Being liquid based, you can also contour any area without the need for cutting and shaping as with other alternatives such as concreting or brick paving. 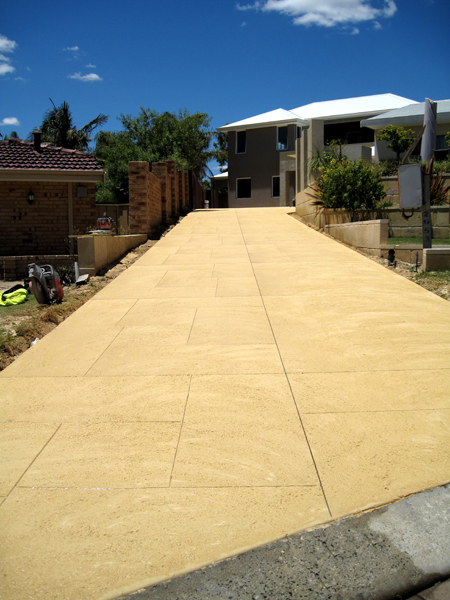 Perth Liquid Limestone driveways modernise and beautify homes. Having all the qualities and strengths possessed by concrete as well as enjoying the natural resplendence of limestone, your driveway will complement your home and blend effortlessly with its architecture. 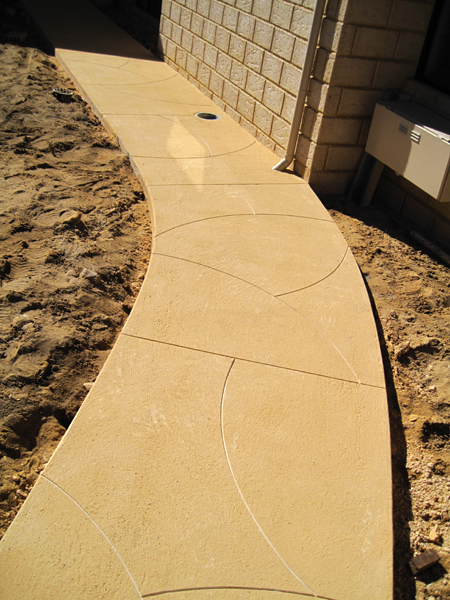 The versatility of poured limestone lends itself perfectly to paths and pathways. Its ability to be formed and crafted into beautiful flowing curves or contoured around garden beds makes it an excellent accompaniment to any landscaping project. Its beautiful natural properties and appearance blend easily with potted plants and garden beds. 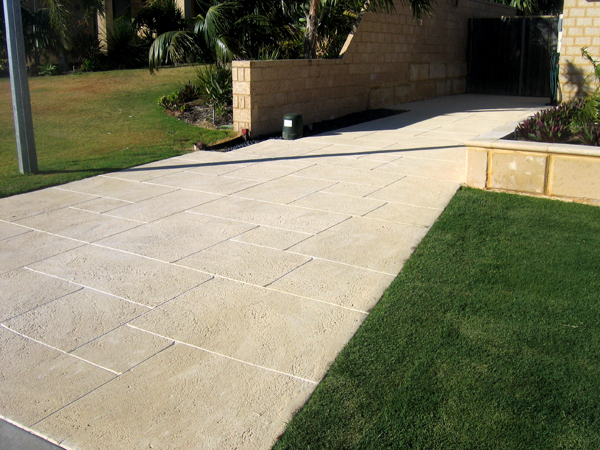 Perth Liquid Limestone paths create a striking contrast between high traffic areas such as pathways and soft areas such as lawn and garden beds. 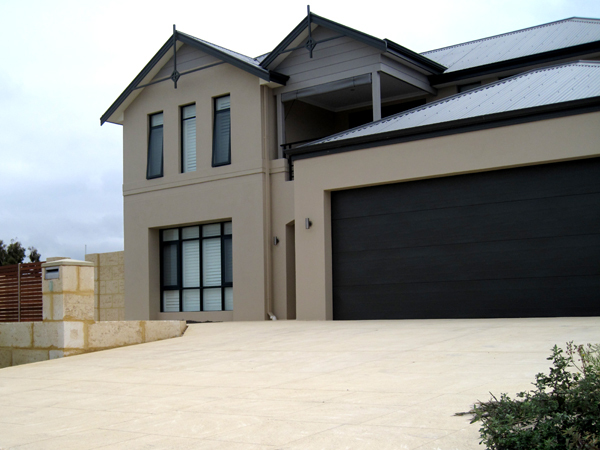 There are many reasons why Perth Liquid Limestone is the obvious choice for your liquid limestone driveways, paths and pathways, and a stunning selection of designs and patterns are available to give your pathway an outstanding finish. A consultant from Perth Liquid Limestone is available to offer advice as to what will look best for your home.